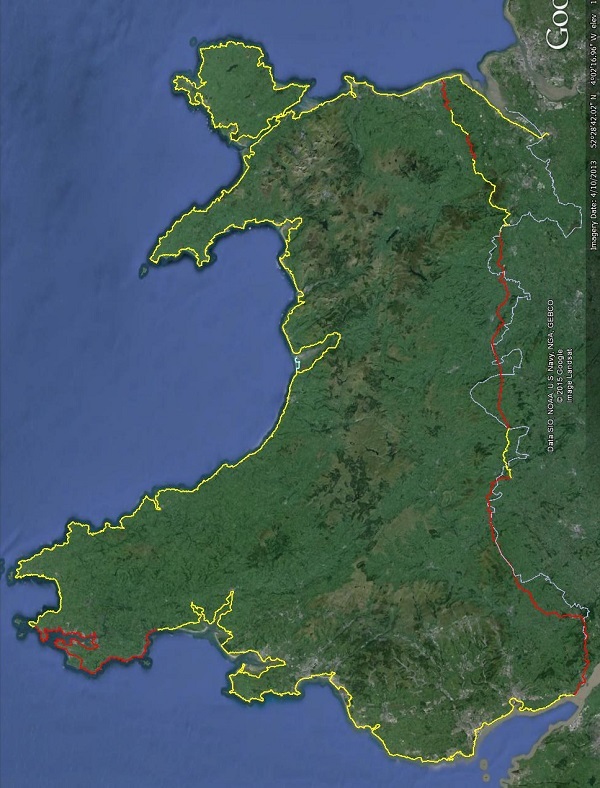 Sometime in late 2011 I said to our then chairman, Dawn Davis, “Wouldn’t it be a great idea to have a walk from Chepstow on the date the Wales Coast Path officially opened.” “Yes”, she said, “and you can organise and lead it”. Me and my big mouth! 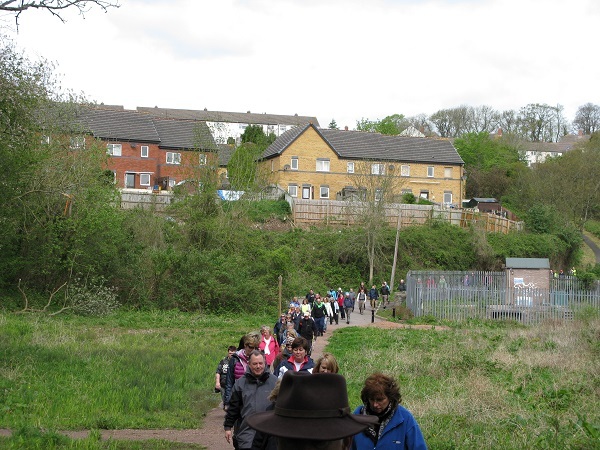 This would have to be a linear walk which gave us the problem of how to get back to the start and I also wanted it to be something special, so I arranged for refreshments to be provided at the Sudbrook Social Club which would mark the end of our walk. How would we pay for the transport and refreshments? I contacted Monmouthshire County Council who were very enthusiastic about the project and would cover all of our costs. The only problem with this was that the walk had to be open to the general public. After many meetings, emails and telephone calls it all came together on what was a very successful day. 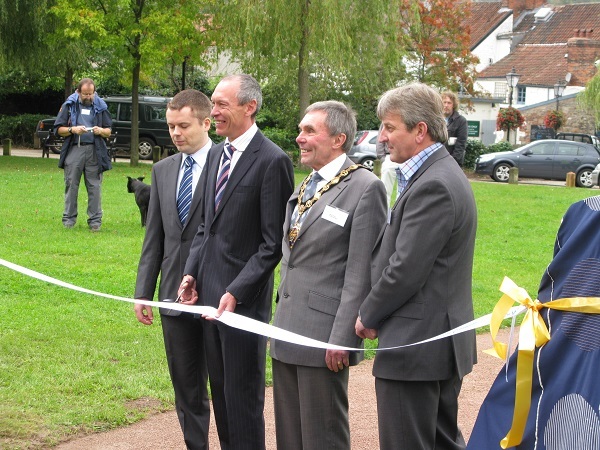 On Saturday 5 May 2012 the Wales Coast Path was formally opened. The path, which is 870 miles long, stretches from Chepstow in the south to the Wales/England border near Chester in the north. As walkers and spectators gathered at the Riverside in Chepstow, they were enthusiastically entertained by the Chepstow Castle Singing Club. 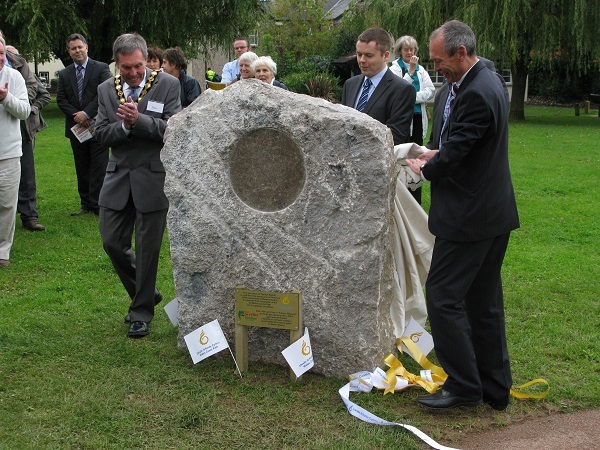 The opening ceremony was attended by the Mayor of Chepstow and John Griffiths AM who cut the ribbon, unveiled the stone and set the walkers on their way. The Lower Wye Ramblers in association with Monmouthshire County Council, organised the day to allow as many people as possible to walk along the Coast Path. It was estimated that over 200 people of all ages started walking. The largest group were members of the Scouts and other youth organisations. As they were the fittest, or so I thought, I said that they could go first and my group of about 90 would follow a few minutes later. 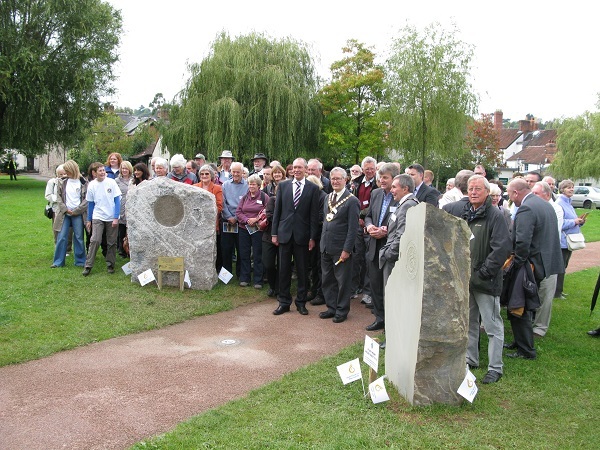 Following me were 40 members of the Lower Wye Ramblers; the remainder was made up of representatives of the National Exercise Scheme, Blytheswood, Hereford Ramblers and Monmouthshire County Council. The 7 mile walk took us through Chepstow and Bulwark and under the motorway to Newhouse. The walk then continued through Mathern and down to St Pierre Pill where lunch was taken. It was then a short walk to Sudbrook via Black Rock along the sea wall. On arrival at Sudbrook light refreshments were available and while they were there the walkers had the opportunity to visit the Tunnel Centre which tells the story of Sudbrook and its relationship with the Severn Tunnel. Of the 200 starters only about 50 made it to Sudbrook and therefore the two buses were sufficient to take everyone back to Chepstow.